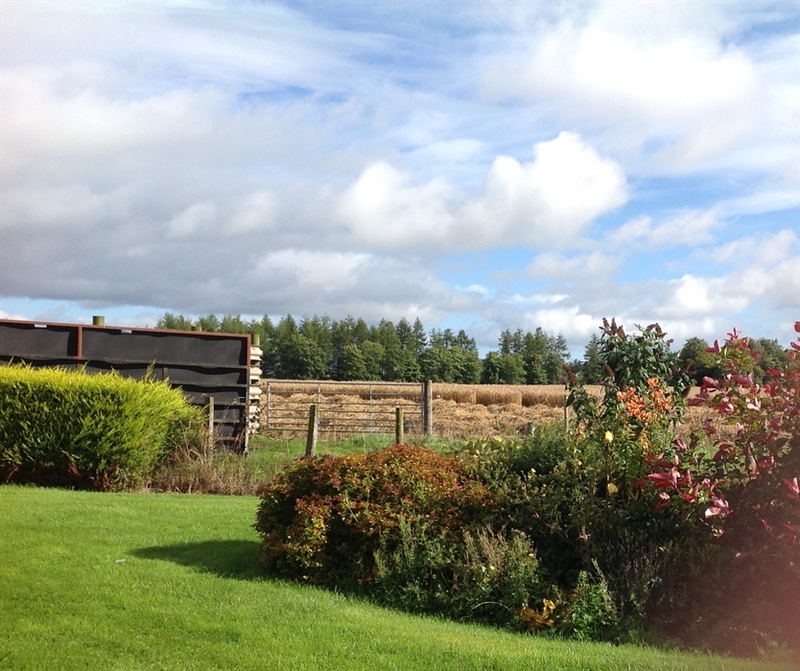 Cosy farm cottage with stunning views of the Angus Glens. 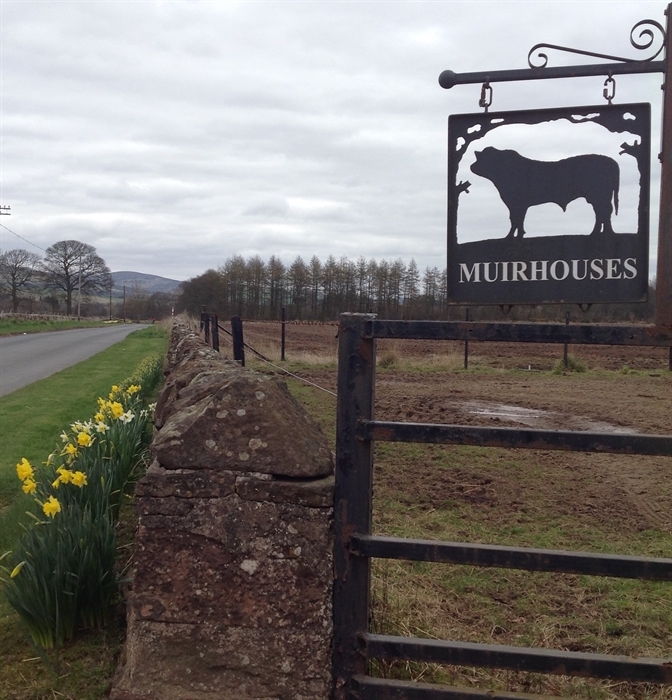 Steading Cottage is only 1 mile from Kirriemuir, but is within Muirhouses Farm, with amazing views and wildlife. The cottage has a large (king-size) double room and a twin room which could also accommodate an extra small child. 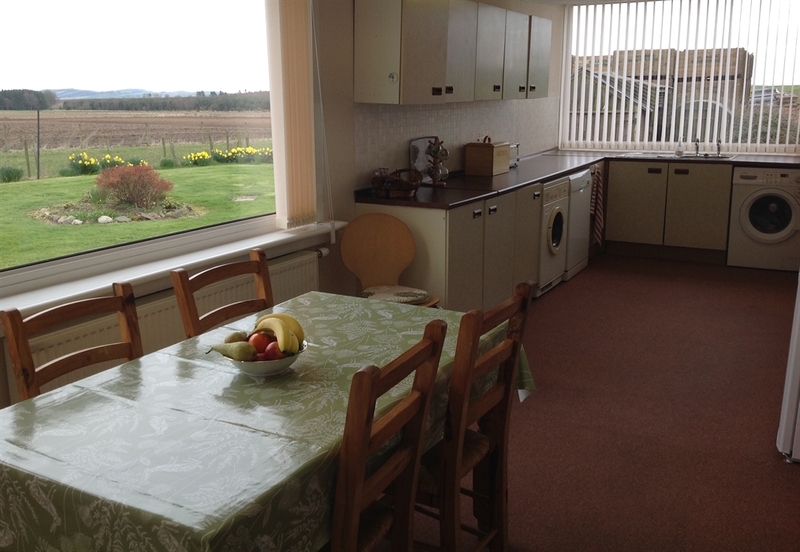 The large kitchen/dining room has panoramic windows for you to enjoy the scenery as you have breakfast. 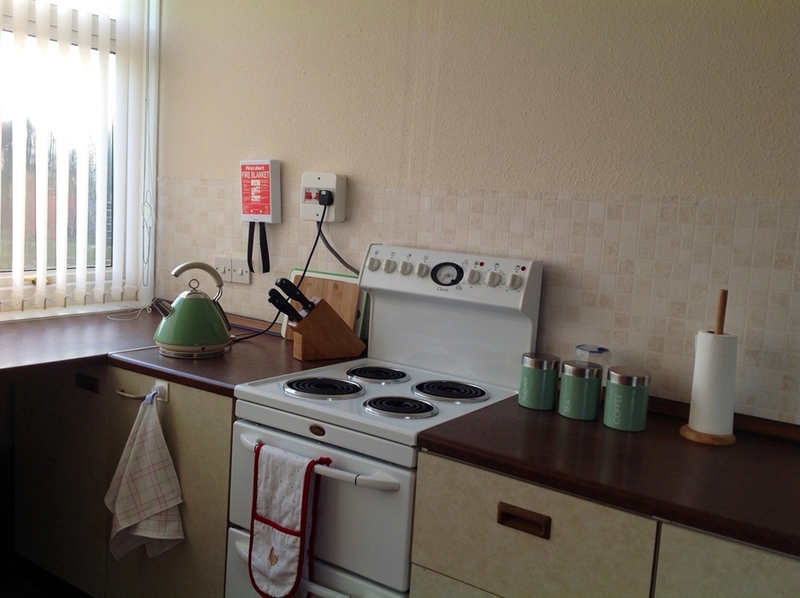 Kitchen is fully fitted with dishwasher, washing machine, tumble drier, cooker, microwave and fridge-freezer. The lounge is made for relaxing in , with books, videos, games and toys for rainy days too. 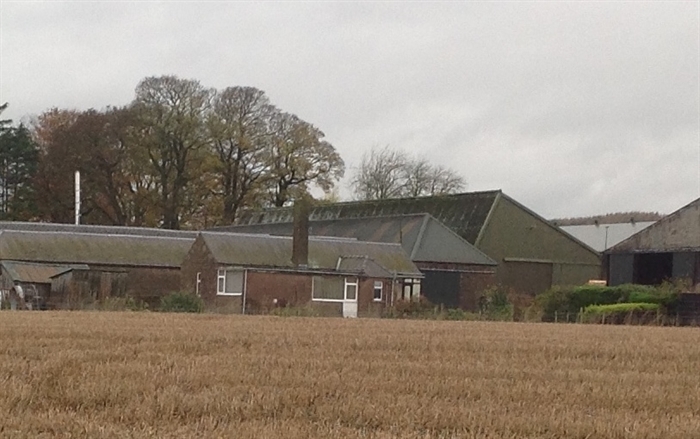 All heating and hot water is supplied by our biomass system on the farm, where we burn our own straw (grown on the farm), to produce never-ending heat and hot water round the clock. Our wind turbine helps with the electricity supply. The large, colourful garden is home to many different species of birds, and some of our cows graze in the fields nearby.